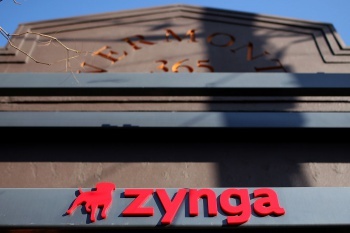 Zynga moves for a jury trial, and retaliates with some damning allegations of its own. EA may have thought Zynga to be an easy target when it filed its lawsuit against the social gaming company, but Zynga is fighting back. The company has filed three documents against EA: one declaring a motion to strike, another responding to the copyright claims, and finally raising a counterclaim proposing that EA's chief executive proposed an anti-competitive "no hire" agreement with Zynga. The first filing aims to strike sections of EA's complaint, which Zynga describes as "an unrestrained ramble of immaterial, inflammatory, and prejudicial allegations that have no bearing on the issue at hand". Zynga believes that the comments were more suited to encouraging press coverage rather than assisting in legal analysis. The second filing deals with Zynga's response to EA's allegations of copyright infringement back in August this year. Zynga says that The Ville is not a copy of The Sims Social, but rather a natural evolution of Zynga's game design from their previous "life simulation" games. It also stated that the user base for The Sims Social had already plummeted by the time Zynga launched The Ville, so it was "implausible" that Zynga would attempt to launch a copy of a game that had already failed months before. As such, it demands a jury trial for these allegations. The third and most aggressive move from Zynga is a counterclaim accusing EA of taking "an anti-competitive and unlawful scheme to stop Zynga from hiring its employees and to restrain the mobility of EA employees in violation of the spirit of antitrust laws". Zynga stated it had received more than 3,000 resumes from EA employees attempting to defect, including several EA executives. In response, EA's CEO John Riccitiello reached out to Zynga's past chief operating officer John Schappert to refer any deserters back to EA instead. Zynga alleged that, when it refused to comply, Ricitiello subsequently made moves to slow down Zynga's hiring process and force them to spend more money in litigation, as well as scare remaining EA employees to stay in the company. EA spokesperson John Reseburg responded to the allegations with noticeable enmity. "This is a predictable subterfuge aimed at diverting attention from Zynga's persistent plagiarism of other artists and studios," he said. "Zynga would be better served trying to hold onto the shrinking number of employees they've got, rather than suing to acquire more."